Grimaud standard Spanish pattern for export to Spanish markets, including South American countries such as Argentina or Uruguay. 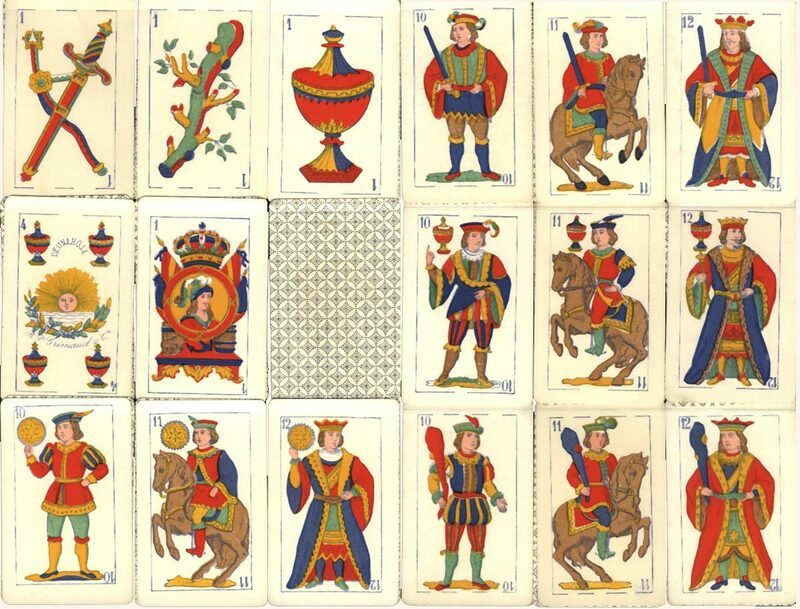 Since the 1840s & 50s playing cards had been exported to these markets by leading European manufacturers who had importing agents based in Montevideo, Buenos Aires or Caracas, and in many cases the designs became a strong influence on local production. Above: Grimaud Spanish pattern, c.1880. The four of cups has a rising sun and the inscriptions "De una Hoja" and "B.P. Grimaud y Cia". Images courtesy José Manuel Murcia.